Hologram Hearts is a fan favorite from Color Club's nail art essentials category. Hearts are adorned by everyone and hearts on a manicure are just to die for. 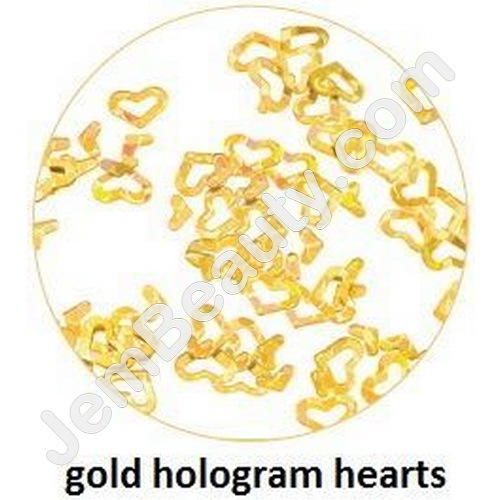 These hologram heart sprinkles shine and shimmer and are the perfect accessory for every girl's manicure. The nail art is hollow, allowing your primary nail color to peek through. These nail art sprinkles are also available in silver, gold, rose, blue, aqua, red, green, pink, black and purple.